From the white/yellow tees, our longest Par 3 and from the red, the shortest. A long way downhill from every tee, the approach to the left hand side of the green is protected by a large oak tree. Shots falling short of the green on the right could well end up in the pond while a deep bunker catches shots drifting right. 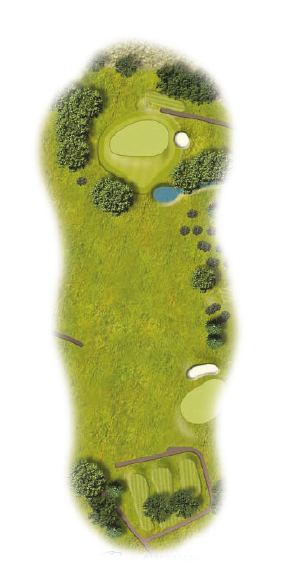 Balls under-hit will roll back off the steep bank that lies immediately before the green while hitting long will leave a tricky chip back to the green that slopes back to front. A lovely Par 3. 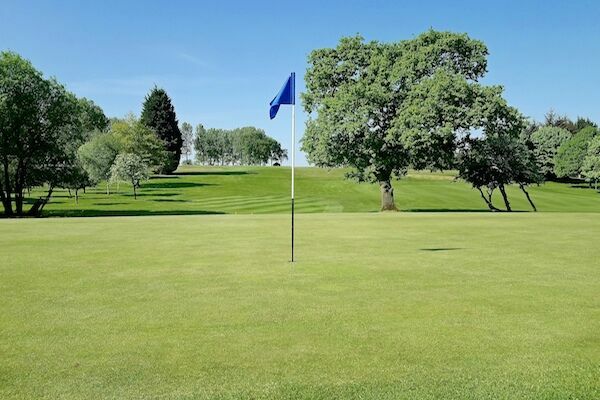 Aim at the right side of the green to avoid the large tree. One club less for the steep slope.